The energy of the Christ last came in the Age of Pisces, "the sign of the Divine Intermediary." The Christ's major work, some two thousand years ago, was the establishment of Right Human Relations. The Principle of Goodwill, invoked by Humanity each year at the June Full Moon, is the way this work will be implemented and completed. The Christ came in Pisces, saying, "I am the Light, I am the Way" and heralding the birth of a new lighted way. His birth was in fact heralded by a new bright star. His life, his way, affirmed and demonstrated the Principle of Goodwill and its truest orientation ~ the Will-to-Good. This great principle is the guiding light which reveals the truth about our relationship with each other. We all must affirm this Principle and practice Right Human Relations in all we do. Right Human Relations is the Law, and must be held as such. This information is not new to most of us, yet the work is not completed and requires our constant commitment to the Will-to-Good. Let us invoke and spread the light and energy of Right Human Relations, bringing Goodwill to all that our lives touch ~ our families, friends and co-workers, in our communities ~ and let our hearts and minds open to the possibility that nations and all of Humanity can and will be guided by the Principle of Goodwill. Then together as One, we can enter the Age of Aquarius. This great work gaining momentum in our world was initiated by the Christ some two thousand years ago, it can be seen and is known as the "spreading of the light." Have you not brought light to a difficult or dark place in our world? And once you discovered or birthed the light within, did you not shine that light? In doing this we together are spreading the light across our world. In the Aquarian Age the new message is the "rising of the light," moving from the birth of the Christ, truly the Christ within, to the Risen Christ. 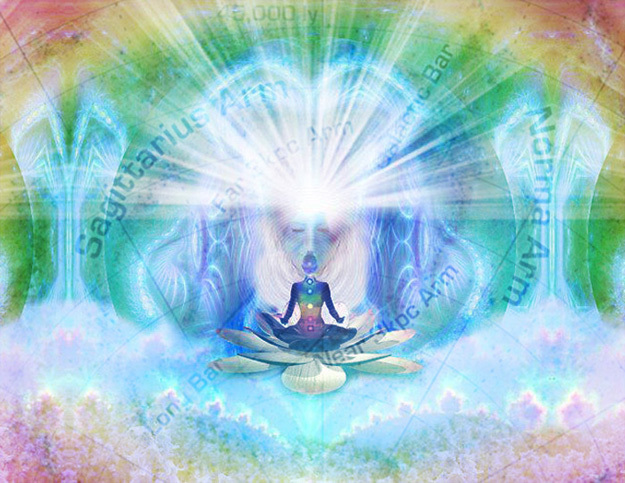 In the Aquarian Age we become the Risen Christ, the World Server, the "Water Carrier" pouring forth the water of life for a thirsty world ~ thirsty for the Truth, for the Life more Abundant. The emphasis now will be dedicated to the thought and understanding of the Resurrection ~ the life everlasting, freedom from the "tomb of matter." This great work on the part of Humanity will distinguish the New World Religion and the New Age from all that which has proceeded these.